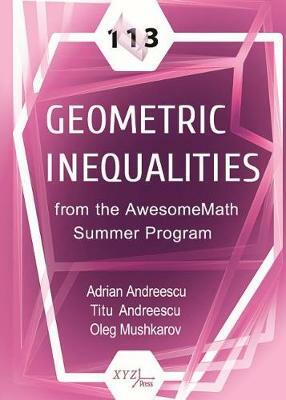 For the curious reader looking to sharpen their arsenal of mathematical strategies on the Olympiad level, 113 Geometric Inequalities from the AwesomeMath Summer Program is a valuable addition. This problem-solving methodology prompts key ideas in other domains such as calculus or complex numbers as the solutions are usually nonstandard in a geometric sense. Nevertheless, trying your hand at these types of inequalities consolidates your mathematical reasoning while exposing you to a broad range of problems, all teeming with insightful inequality-type solutions.